Like many families, we discovered we needed a larger car to accommodate our expanding tribe and busy lifestyle. So we’ve embarked on a sometimes overwhelming and infuriating process of buying a new family car. I say this, as many dealers ignore me in the process and talk to my husband about what I needed to drive. A common practice that frustrates me greatly, as I’m the one that will drive it and has the final say on what we purchase. 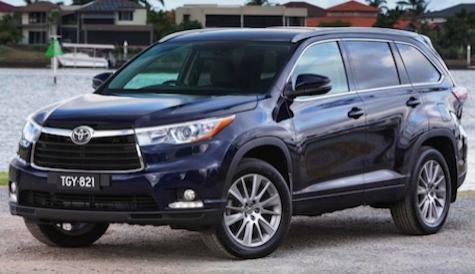 Anyway, as part of our research, this week we took the new 2014 Toyota Kluger for a test run after being attracted to an array of features and technologies that promise to make family life easier. One of these is the remote release Power Back Door in the Grande. The door has a memory function, which you can use to set your preferred height and it can be opened and shut from a button on the driver's side of instrument panel, a switch on the wireless key fob or simply by pressing the button on the rear tailgate. So loading or unloading when it's raining or you have your hands full with children or shopping is stress free. There’s also a convenient glass hatch which means the whole tailgate doesn’t need to be opened for small items - you simply flip up the glass and pop the bags in without any fuss or bother. The Kluger has a great variety of creature comforts to keep everyone happy, including state of the art, 6-speaker, touchscreen audio system with bluetooth, and it's packed with technologies and features like, cruise control, vehicle stability control and auto-on/off headlights electric power steering making it an enjoyable people mover to drive. 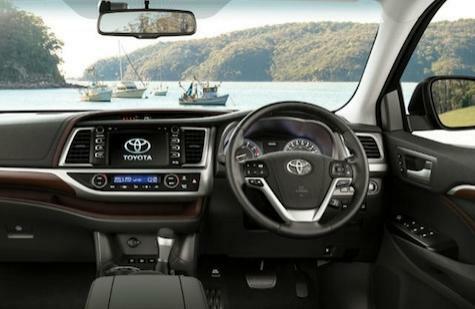 The interior design focuses on comfort, storage and style - offering plenty of leg and headroom. The 2014 model is slightly larger than the previous and seven seats are now standard across the range with air conditioning vents and upholders for the kids up the back in the third row. Safety features include 7- SRS airbags, traction control, reversing camera and advanced ABS anti-skid braking system. The Kluger is available in two-wheel drive or all wheel drive and is an attractive made for families on the go looking for a durable car. I found the car a great drive, which I felt safe in on the open road - offering excellent visibility and very comfortable ride for everyone. The doors also open widely making it easier to get younger kids in and out of the car. I’d recommend it to families with 3 or more children looking for a safe, spacious and convenient vehicle. Volvo and Apple get together to introduce Apple CarPlay.